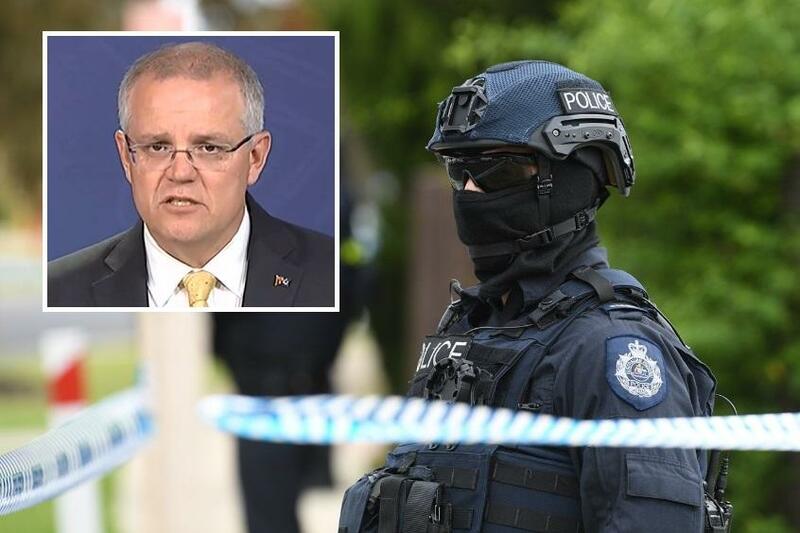 The current Prime Minister of Australia Scott Morrison announced a new approach to extremism that included harsher penalties for terrorists and their sympathizers. The new approach could see extremists and terrorists stripped of their citizenship leaving them to face years in immigration limbo. Morrison called for people convicted of terrorism to lose their citizenship and defended the legality of the Federal Government’s new anti-terror laws. Without Australian citizenship, extremists could remain in immigration detention if no other countries would accept them. The Australian Prime Minister said, "If we have a reasonable view that someone has citizenship — it may be by descent or they may have been born somewhere else — then we will be able to strip them of their Australian citizenship. And we’ll be able to have them deported back to the country from which they do have a citizenship." Morrison added, "If they’re in a position not to be deported, well they’ll remain in immigration detention." Laws that would see terrorists stripped of their Australian citizenship passed in Parliament with bipartisan support in 2015 but with some caveats. The law would only apply to those with dual citizenship who had been convicted of a terrorism offense with at least a six-year prison sentence. The changes to the 2015 law were announced Thursday giving Home Affairs Minister Peter Dutton the power to revoke extremists citizenship regardless of the severity of the conviction but only if he was "reasonably satisfied" that the person holds another citizenship elsewhere. Critics of the changes to the law say it could lead to the indefinite detention of terrorists and could present new security challenges for immigration detention centers. Immigration detention centers in Australia are already facing overcrowding and a riot earlier this year claimed the life of one detainee who tried to escape. Critical lawyers called the updated law government overreach and Law Council president Morry Bailes called for a "necessary and proportionate" response to terrorists that followed the rule of law. Attorney-General Christian Porter held the opposite view and argued that the existing laws made it "far too difficult" for the government to remove convicted terrorists' Australian citizenship. Porter claimed that this presented an issue that was out of step with community expectations. Porter was also adamant that the government would not leave people stateless but he did acknowledge some countries could certainly refuse to repatriate dual nationals opening a loophole that could terrorists detained indefinitely. Porter added, "There are ways in which the law can be amended and refined to make a process simpler while maintaining all our international obligations." Bill Shorten, the Opposition Leader said he would work with the government to help keep Australians safe. Shorten said Labor would prefer to do it "properly the first time" instead of rushing the job as before. "I want to see convicted terrorists punished," Shorten said. "And we’ll work with the Government to do it." Australia is facing a growing problem of migration of extremists and since they disarmed their citizens it makes Australia an open playground for the jihadis. Hats off to Morrison. I wasnt very impressed with his policies in years past, but hes really stepped up to the mark on this one. And what idiots would oppose making their country safe? There are some real far left loons in Aus. Wonder if they'd feel all apologetic and sympathetic towards islamists if one of their family were stabbed or shot to death by one of them. Typical leftard brainless zombies. Lets hope Morrison can push this through without delay.